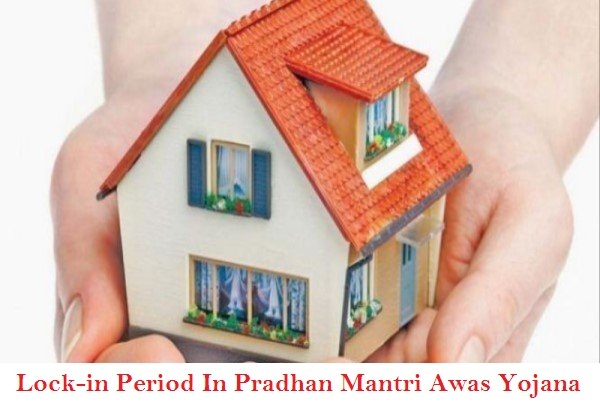 To cater to the needs of the poor and needy people of this nation, PM Modi has launched the Pradhan Mantri Awas Yojana, both in urban and rural areas. But recent reports that many people are taking undue advantage of this scheme. With the implementation of the PMAY, poor people will receive loan and homes at affordable rates. Some individuals opt for this scheme, and after they get possession of the home, these individuals sell these homes to private individuals at higher rates. This unfair business tactic defeats the actual aim of the developmental scheme. On 21st August, 2018, the central authority made another announcement related to this scheme. It was stated in this declaration that no applicant will be able to sell their home to another person before the completion of five years. Central government has put a lock-down period on the sale of all such houses, constructed with the financial aid of central government, under PMAY. The Union Cabinet will officially declare the new inclusion in September. After the implementation of the PMAY, the authority got several complaints that many applicants, who have acquired a home under this scheme, have sold their house to a third party for a higher cost. The cost of real estate is very high, especially in the urban areas. Dishonest people use this scheme as a way to earn more money. PM has announced that the core aim of this project was to offer permanent dwellings for poor people. It was not meant to be a way to earn money by unfair means. People who opt for this scheme will be able to get housing loan at low rates. Apart from this, Income Tax department also offers additional rebate. As of now, central government has completed 54 lakh homes under this project. Out of these, 8 lakh applicants have also received their homes. The rules and guidelines of the PMAY have been changes several times. It has been done to make sure that more and more people get the benefits of this scheme. Apart from offering permanent homes at affordable rates, people will be able to get housing credit, under this scheme. The amount of attainable credit amount and the credit subsidy rate will depend on the annual income of the applicant. A report suggests that the central authority has already spent around Rs. 1,806.2 crore as payment for loan subsidy in the names of 89,154 beneficiaries. Middle Income Group I Rs. 6 – Rs. 12 Lakhs Till Rs. 9 lakhs – 4% subsidy 120 sq.m to 160 sq.m. Middle Income Group II Rs. 12 – Rs. 18 Lakhs Till Rs. 12 lakhs – 3% subsidy 120 sq.m to 160 sq.m. As this scheme will be implemented in pan-India basis, the central government has the target to construct one crore homes by the end of 2022. Till date, 53.79 lakh homes have been sanctioned by the central authority. The construction work has started on 29.65 lakh homes. 15 lakh applicants have already received the keys of their ownership permanent homes. I have taken loan from Axis bank on 12th March 2018 and also applied for PMAY-CLSS subsidy under MIG-I at that time. I am struggling from past 5+ months for the same. Bank is telling that you are eligible for subsidy and all verification is done. As per bank, they will upload my file to NHB at the earliest – I am getting same status from past 5+ months from bank. Please suggest what should we do for subsidy as process is not moving from past 5+ months.